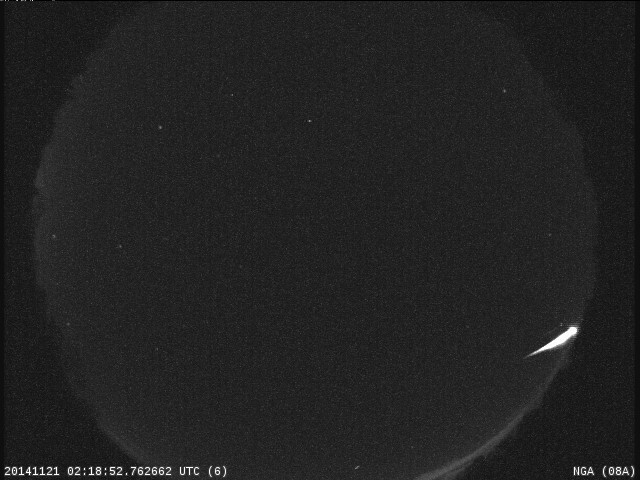 A bright fireball occurred at 8:18 pm CST, Nov. 20, just southwest of Tuscaloosa, Alabama and was detected by NASA All Sky Cameras. The fireball traveled at 67,000 miles per hour and appears to have broken apart at an altitude of 27 miles. It was as bright as the full moon, about 14 inches in diameter and weighed about 120 pounds. The fireball was not part of the Leonid meteor shower. At this time, we do not believe any meteorites were produced. 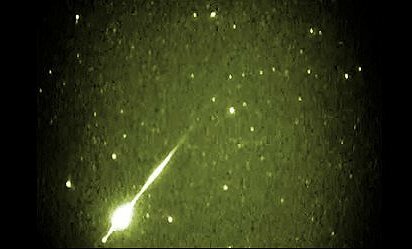 This morning there are over 60 eyewitness reports on the American Meteor Society website. This year’s Leonids meteor shower peaks on the morning of Nov. 18. If forecasters are correct, the shower should produce a mild but pretty sprinkling of meteors. The waning crescent moon will not substantially interfere with viewing the Leonid shower. Cooke also recommends going to a location away from city lights, dressing warmly, and lie flat on your back and look straight up. No special viewing equipment needed — just your eyes. A live viewing opportunity is available via Ustream from a telescope at Marshall Space Flight Center. The Ustream feed will be live beginning Monday, November 17 at 6:30 p.m. CST here and will continue until sunrise on Tuesday Nov. 18. 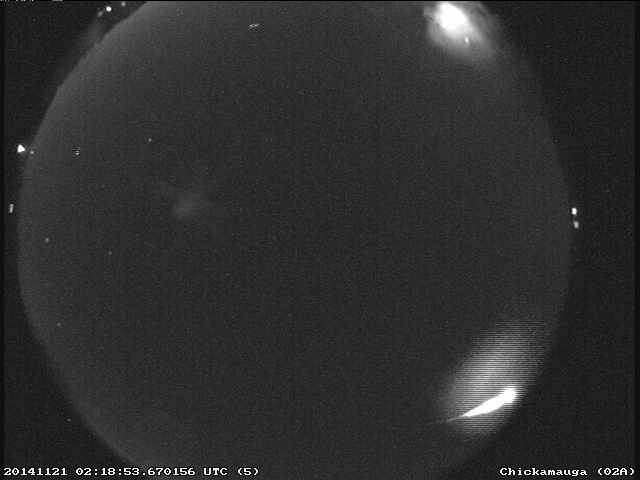 There was a daylight fireball seen from Arkansas to Alabama this morning at about 9:38 CST. If you saw the meteor and have information on its directionality, where you saw it from, etc., please comment below. Also, it would be helpful if you filled out an eyewitness report on amsmeteors.org.